Download Environmental NGO website template Free PSD. 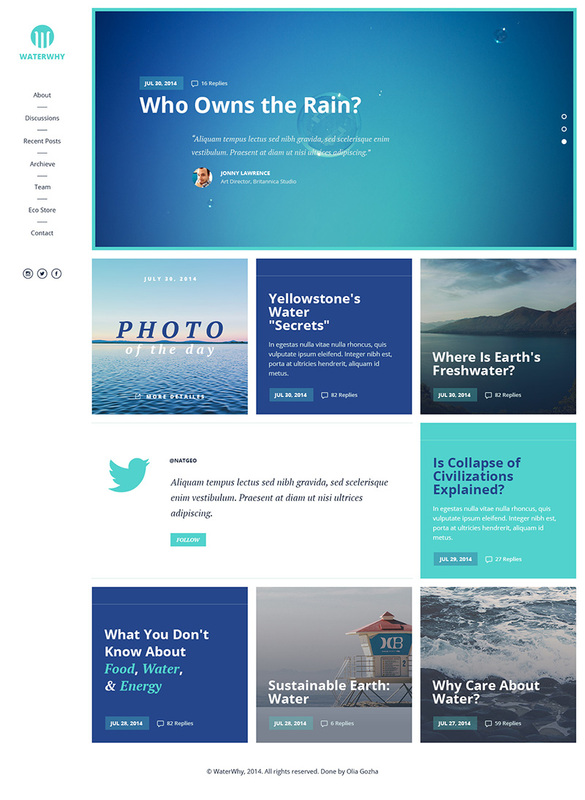 A fresh website design psd which can be used as a blog, as a promo site or corporate website of any eco/non-profit organization involved in defending water resources on the Earth. Feel free to use it for any other suitable design projects. Hope you like this NGO website template Free PSD. Enjoy!